More reports claim new versions of Apple’s upcoming world’s best mobile device, the iPhone 8. There are numerous of different reports regarding Apple’s future handsets, the most accepted ones consist of a standard 4.7-inch, 5.5-inch, and a 5-inch iPhone 7s version that will feature a vertical dual-camera setup. Despite those 3 versions for the future iPhone, now a new report claims that Apple will be developing 3 separate versions for the iPhone 8 (note that the 5-inch iPhone is rumored to be the iPhone 7s not the iPhone 8) which are 4.7-inch, 5.5-inch and the new 5.8-inch. The latter two are said to be featuring Super AMOLED touchscreen displays with 401 PPI density, deriving from that, the display resolution should be 1920 x 1310 pixels. 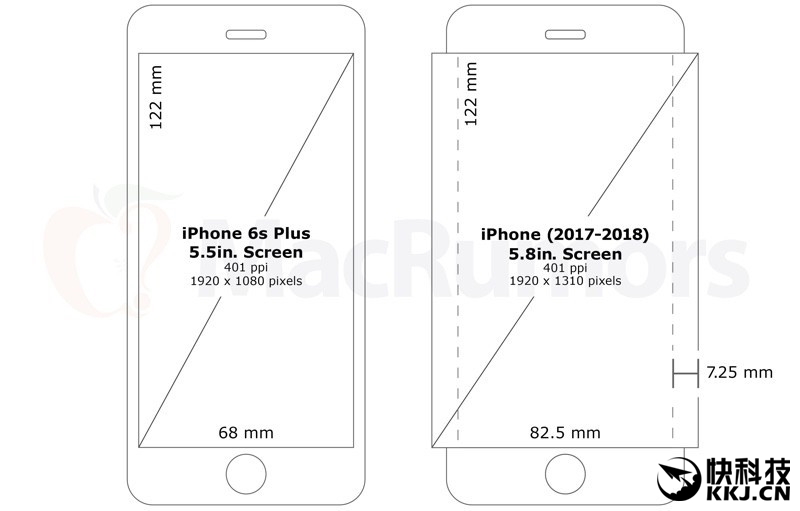 Furthermore, there are other iPhone 8 versions that are being rumored, these versions are the 5.1-inch and 5.2-inch models. The references state that Apple will begin supplying the production of the new iPhone starting by March of 2017 in small numbers to intensify it by May or June. As by courtesy, the main supplier of the AMOLED panels that will be supplied on the rumored 5.5-inch and 5.8-inch iPhone 8 units will be Samsung. Apple’s greatest competitor. It is said that only for the 5.8-inch version Samsung will be supplying to apple around 20 million AMOLED screens and totaling with 5.5-inch the numbers reach as high as 80 million units.